If you have found mold on your clothing or there is a potential for mold growth because of a flood, you may be wondering if you can save your clothes or if you need to throw them away. The good news is that (depending on when you found the molded clothing), you may be able to save them. 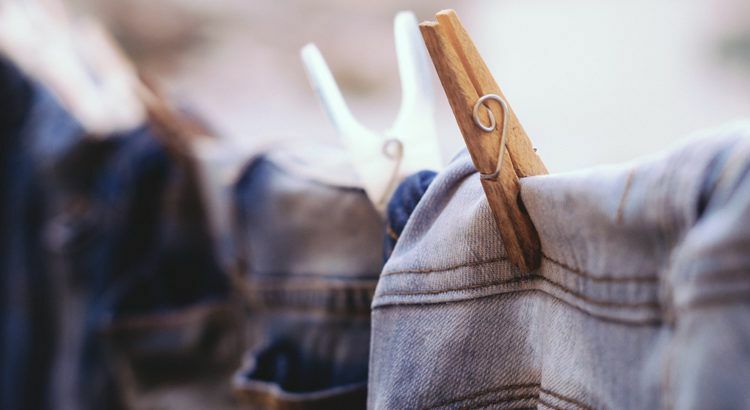 With a little bit of persistence and quick action, you can often rid your precious clothing of damaging mold and make them safe to wear again. Here is what you need to know about mold and how to remove it (and the smell) from your clothing. Do Items in Your Home Have a Musty Odor or Mildew Stains? Mold thrives in places of high humidity and warmth. The more damp and warm an area is, the better. This includes walls, floors, personal items, and yes – clothes. So what can be done about it? The first thing to note is timing. The faster you can find a mold contaminated item, the better. Mold becomes increasingly hard to remove and deal with as it grows and thrives. How can the Government Help with Mold Contamination? This website by the EPA offers individuals a host of information regarding household mold. It includes sections on health, cleaning, and mold removal in schools. This is a great starting point for the individual who is interested in learning more about mold and what they can do about it. This website by FEMA offers important information that helps individuals understand the risks associated with mold and also health conditions that can result from mold exposure. FEMA has extensive experience in dealing with natural disasters and the aftermath, which includes hurricanes. There is a very high risk of mold developing after a hurricane and FEMA has several news releases on their website that detail steps that can be taken by anyone facing this. The CDC has an entire section on their website devoted to mold and how it affects individuals. There are articles dealing with how mold develops as well as methods used to remove mold. The CDC strongly stresses on their website the importance of careful handling when it comes to mold removal. The information on their website is available in either English or Spanish. NIAID has a website that addresses many of the issues that those with allergies face. Mold can be a strong irritant to those who suffer with allergies and this website provides information on dealing with that as well as asthma. This is a wonderful resource for parents, as well as those who have children who are prone to allergy attacks. Discovering that you have mold in your home can be devastating. It is important to have free and accessible resources available to you so that you can begin to understand the issue and how to effectively deal with it. All of the websites listed above have contact information supplied and you can find that once you visit them. Some also have a list of frequently asked questions which can give you some insight into how mold develops and the steps needed to remove it. By visiting these websites, you will be arming yourself with the much-needed knowledge you need to conquer the mold problem that you have. Knowledge is always the first step in defense so peruse the sites and absorb all the information you can. It is also wise to read the information even if you don’t have a mold problem because you may discover something that will help you prevent it so it never happens to you and your family.